PaperWorks Co. August PaperCard Kit! Hello and happy Monday! I hope you had a wonderful weekend. My booty is a little sore from sitting at my daughter's gymnastics so long this weekend, but it was so fun to watch! Yesterday morning they had some judges come in to watch their compulsory routines, and Avery did an amazing job! I was so proud of her! I used this adorable Rachelle Anne Miller image called A Surprise Cheer along with a sentiment from the PTI set Round & Round. The dp, cardstock, and button are all from the kit. I used last week's Sweet Sunday Sketch Challenge #128 for my layout. Well I have got to get cracking on my Dirty Dozen projects for this month, so I'm heading to my stamping table! Thank you so much for stopping by and I hope you have a fantastic day! WOWZER!! Kerri, this card is so sweet!! Your coloring is stunning!! WOW!! Oh, this is so cute! I love the image and how you colored it. Fab card! Hugs! Awww!! Look at how sweet this is!! So adorable! 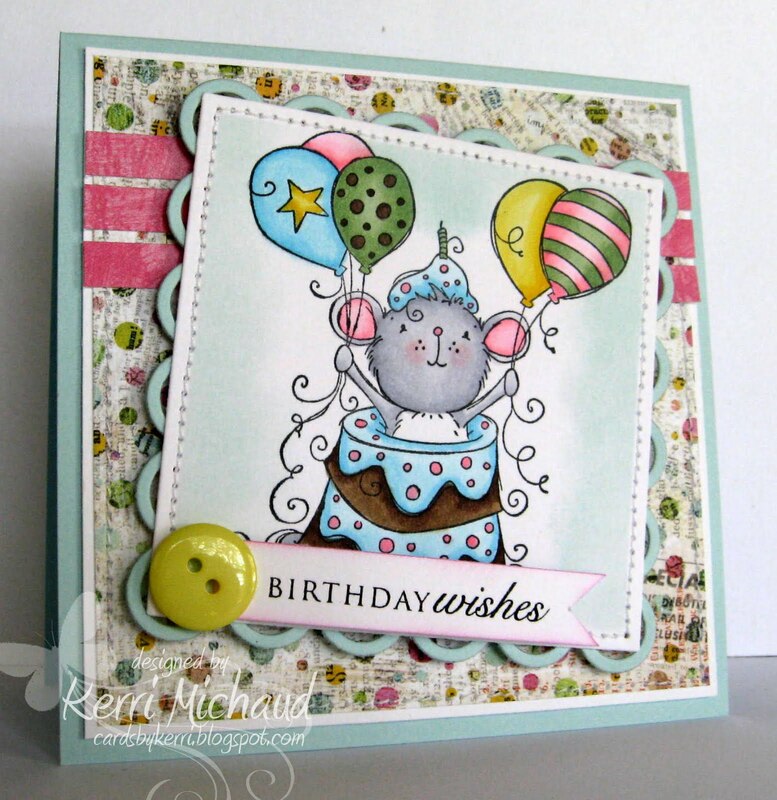 Fabulous card Kerri, lovely bright colours and such a cute image. 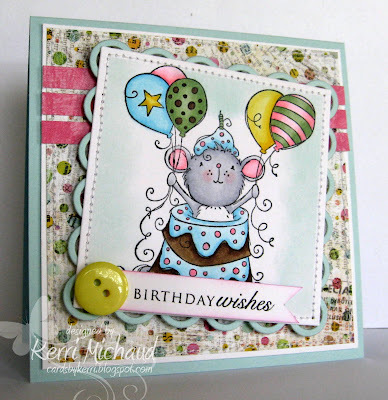 Ohhhh Kerri,so beautiful card,I love the image and the colours. Wonderful card! i love the very bright coloirs you've used!